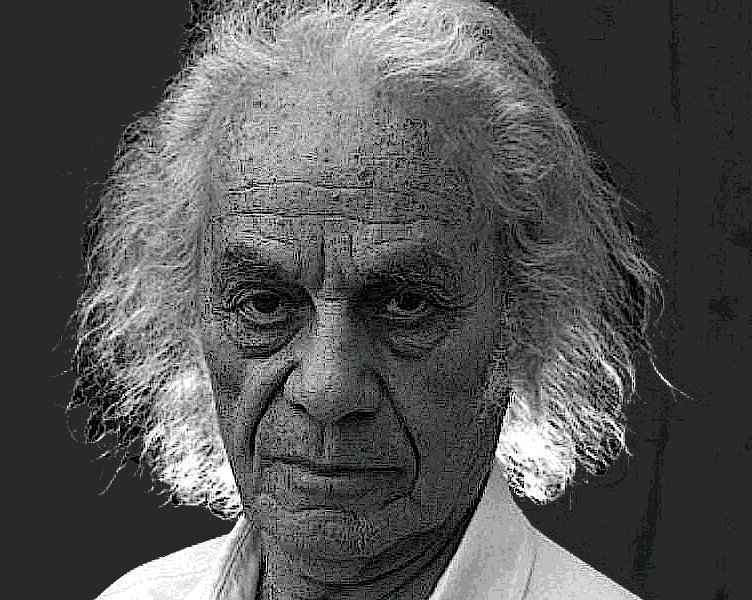 The poem entitled Manifesto was written by the outstanding Chilean poet Nicanor Parra (5 September 1914 – 23 January 2018) and was first published in 1963 in Número journal, Uruguay. In 1969 it was included in the poetry collection Obra Gruesa, published by Editorial Universitaria publishing house, Chile. The poets have come down from Olympus. We can’t live without poetry. A door and window manufacturer. So the tree doesn’t grow crookedly. The rat in the library poet. According to the latest Paris fashion. It is born in the heart of the heart. The poetry of the shadow of a big wing. The poetry of the naked head. We do not believe in nymphs or tritons. We do not believe in nymphs or thirds. Or, it is absolutely nothing. Passing through a crystal prism. Some of them became communists. I do not know if they really were. They have been venerable bourgeois poets. Against the poetry of proletariat. Old planks returned by the sea. In the revolution of ideas. To scare the petty bourgeois? Unless it’s about their stomach. Do not they scare with poems! Poetry is enough for everyone. Poetry of the furious bull. The poetry of social protest. Πάρρα, Ν. (2008). Ποιήματα Επείγουσας Ανάγκης [Emergency Poems]. Αθήνα: Εκδόσεις Γαβριηλίδης. The use of the material, where third-party rights are not mentioned, is absolutely free. Its sharing, possibly, useful. Advice, but also suggestions, comments and proposals are, in general, welcome. Whether or not to be accepted, that is, in general, another story. The desire of the site traveler to backing the unpaid site’s creators is his inalienable right. By giving him the donation button, we strongly encourage him to exercise it.